It’s no secret that Minnesota is full of natural beauty. But some are concerned that the proposed sulfide-ore copper mining operation will endanger northern Minnesota’s Boundary Waters Canoe Area Wilderness (BWCAW). Thus, in 2013, the Campaign to Save the Boundary Waters was organized. To defend the Boundary Waters as a national and natural treasure, Minneapolis’ NorthGate Brewing is teaming up with the campaign to create a new beer and help protect the watershed, air, and forest landscape by keeping out the toxic pollution caused by mining copper, nickel, and other metals near the BWCA. 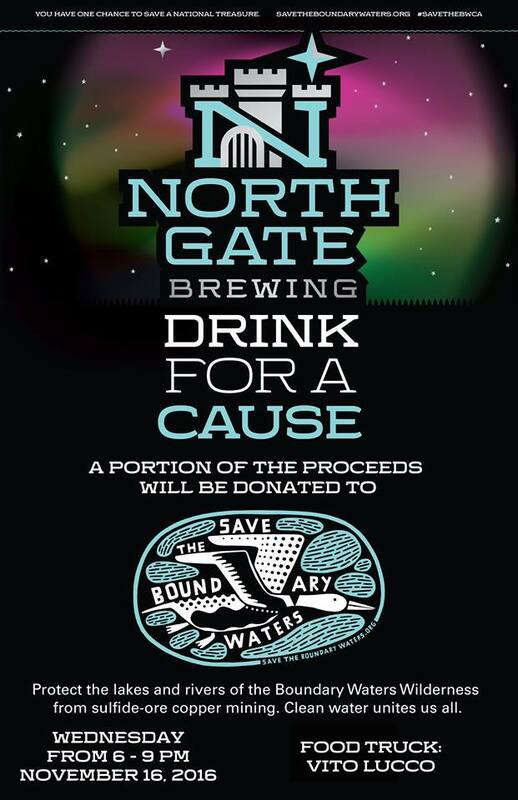 From 6–9pm on Wednesday, November 16, head to NorthGate for “Drink for a Cause: Save the BWCA” so you can try the collaboration beer, Canoe Country Cream Ale. A portion of all the beer sales for Canoe Country Cream Ale at the taproom and at liquor stores will go toward the Campaign to Save the Boundary Waters.